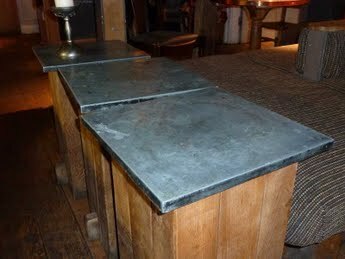 Hobbs & Porter produce bespoke zinc tables, zinc bar tops, polished copper, hammered copper, pub worksurfaces for use throughout the UK. 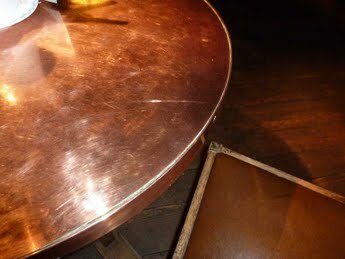 Polished copper pub or restaurant tables availble to order. Any quantity; bulk orders welcome. 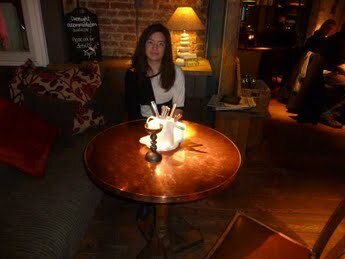 Bespoke copper restaurant or pub tables; any quantity. Zinc pub or restaurant tables made to order; any quantity. 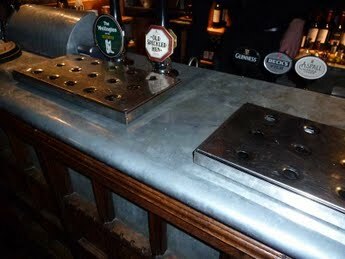 Specialist zinc bar top will bullnosed edge in English pub. Weathered copper pub tables made to order.